I recently wrote and released a blog about a red wine from a winery where the label did not look right. After doing a bit of digging, I believe the fruit and location were not correct as I had suspected. It’s likely that a novice wine drinker would have never noticed. After posting the blog, I had lunch with a couple of friends. 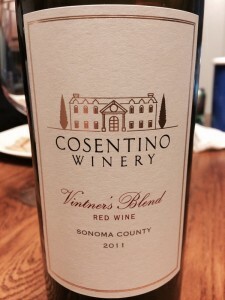 My one friend had read the blog and started asking questions about wine labels. While answering his questions, I realized that it might be helpful to others if I wrote about wine labels in the US. Let’s briefly talk about US regulations. Wine laws are managed by the US Governments Alcohol, Trade and Tax Bureau (TTB). 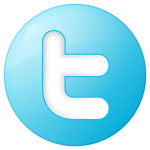 The TTB is a bureau under the Department of the Treasury. The TTB employ’s some 470 people across the country, including their Headquarters Offices in Washington, D.C., and the National Revenue Center in Cincinnati, Ohio. Their staff is highly educated and technically trained; more than half are analysts, chemists, investigators, and auditors. In addition, a large number of employees serve as financial, legal, information management, and computer specialists. Besides regulations, its main goal is to collect a tax. The TTB reviews and approves every wine label and allows Chapitalization (adding sugar) to wine (although California does not allow it). There are many types of labels that I will comment about. o Table wine does not have to specify the amount of alcohol as I note below. o Actual alcohol can vary from the specific percentage. o Wine under 14% allows 1.5% variation from stated amount. o If your wine is 14.1% you cannot label it 13.5%. o Wines with more than 14% alcohol content must be accurate within 1%. Even though adding the alcohol content is optional. Adding the vintage is optional. Lots of blending and can include different vintages. Semi-Generic Wine Labels are defined with a European location but is not really from there. Some names include California Champagne, California Chablis. If a winery uses a name like this, the state has to be part of the name on the label. US appellations are not required. 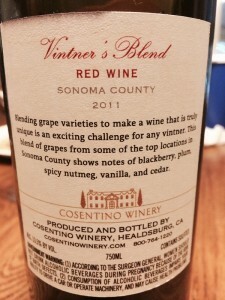 There are other things to consider on the label such as geographic area, variety, estate produced and bottled. This is where it can get tricky and if you do not know the laws the average consumer would not know. You should know that a winery can sell less quality fruit they may have bought from another grower and it’s legal as long as the label is correct. 75% of the fruit must come from that county. 85% of the fruit must come from that AVA. 15% of grapes for blending can come from outside of the AVA. 95% of the grapes must come from that location. If the label uses a California place-name, all of the grapes have to come from California. 95% of the grapes must come from this location. 100% of the wine must come from vineyards controlled or owned by the winery. Must also be named in the AVA. AVA name used in conjunction with a county of larger AVA. Designed to reinforce name recognition of the larger area. Napa Valley, Sonoma, Lodi, Paso Robles. Russian river would have Sonoma on the label. Oakville would have Napa Valley on the label. o Made by the company that is selling the wine. o Cellared and bottled, Vinted and bottled. The producer is legally responsible for the bottling process and product in the bottle. TTB must be able to trace back to the bottling site. Wine can be made anywhere. Companies may not have made any of the wine. It can be bulk wine. I know I have presented many legal terms and definitions. Let’s look at some actual labels. 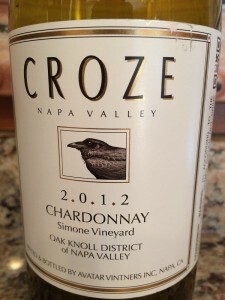 So let’s take a look at the 2012 Croze. At the top is the name of the winery or estate. Below that is Napa Valley meaning 85% of the fruit is from the Napa Valley. If you look lower you will see the grapes came from the Simone Vineyard in the Oak Knoll District (AVA). This means the fruit has to 95% of that vineyard and AVA. Next is the year; the vintage is 2012 and it is the year the grapes were harvested and fermented (not the year it was bottled). The bottom of the label notes vinted and bottled by Avatar Vintners. This means Avatar Vinters fermented the juice and bottled the wine. What you cannot see in this picture is the Alcohol content and the wine does contain sulfites. Knowing this winery, the fruit is quality and wine will be great. The side of the label included the alcohol and sulfite addition. This is a “semi-generic” label. There is no location just “American Table Wine”. 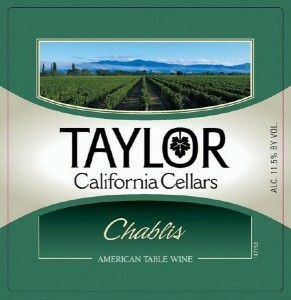 The Name is Chablis (Chardonnay) from California Cellars. The alcohol content is included even though it is optional. There is no vintage so the juice can come from many years. I would consider this a low-quality white wine. So the bottom line is the more information on the label (AVA, Vineyard location), the better the quality of the wine and yes you will have to pay more for the wine. Life is too short to drink crappy wine. Very helpful. Your blog filled in a lot of blanks for me. Thanks Bill. Glad it helps. I think consumers should know this information so they can make better choices.